Which means: Overeating, exertion, talkativeness, adhering to rules, being in the company of common people and unsteadiness are the six causes which destroy yoga. Overeating is one major obstacle to yoga or union. Due to overeating, the body gets overloaded with food. This causes the body to become sluggish and the mind becomes dull. Over a period of time toxins build up in the body, constipation sets in and the whole physical and mental system becomes blocked. In such a case, when the body is full of toxins and gets lethargic, it is not possible for one to make progress in sadhana. All the sadhana time will just be spent on removing toxins from the body. Avoiding overeating will help a Sadhaka to progress more quickly as the extra time that he was to spend on removing the toxins will be saved. Swami Sivananda, Hatha Yogi Nikam Guruji, and many other yogis have said that the stomach should be half filled with food, one quarter with water and one quarter with air. Exertion is the next obstruction for a sadhaka of Hatha Yoga. He should avoid overexerting or overstraining both the body and the mind. Hard physical labour or intense mental work taxes the energy system concerned and instead of bringing equilibrium in the pranic force and the mental force, it will only create a further imbalance between the two forces. A Hatha Yogi should conserve and build up his store of energy for spiritual purposes instead of wasting it in performing any unnecessary physical or mental feats. Too much talking is never good for a Yogi as it dissipates a lot of vital energy and wastes time which could be better spent in sadhana for awakening the inner awareness. A Hatha Yogi should avoid gossiping with people who like to get involved in baseless discussions, have low morals, low consciousness and are full of sensuous desires. Their association can result in their negative vibrations affecting the sadhana of the Yogi. Irrelevant discussions distract the mind from sadhana. A sadhaka should not adhere to strict rules and regulations. Adhering to rules will only result in making him narrow minded. The social rituals and religious doctrines are not for a true sadhaka and never required to be maintained for spiritual progress. Sadhana is not dependent on social morals. A sadhana is meant to expand consciousness, not to limit it. A yogi should have a free and open mind. His mind should be flexible and able to adjust to circumstances, whatever they be. A yogi needs to live either in solitude or in a hermitage. Association with common people will only be an obstruction in his regular sadhana. The vibrations and energy that has been built up by the regular practice of Yoga will only keep on dissipating while in the company of common people. If a sadhaka can live in a hermitage such obstacles can be avoided naturally. Unsteadiness can be both on either physical plane or mental plane. It means an imbalanced body metabolism. 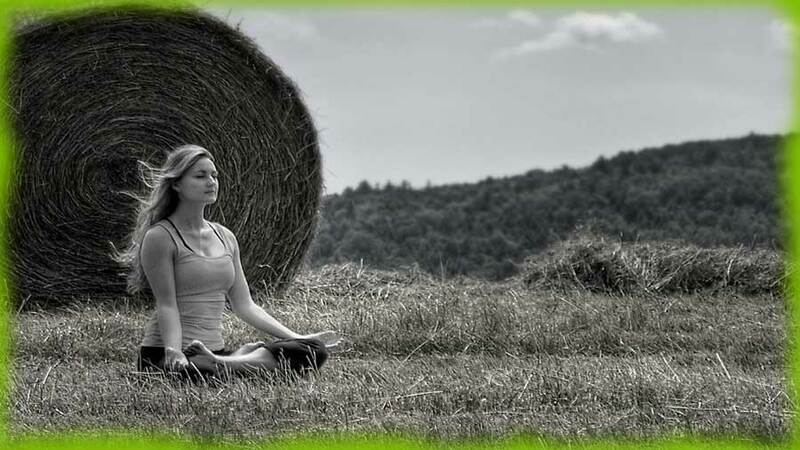 It is inability to hold a Yoga Posture for a good period of time and also a wavering mind. A yoga sadhaka cannot succeed in sadhana under such conditions. This will only result in energy getting dispersed. At the same time, if the energy is properly channeled, all the bodily systems become stable and physical and mental steadiness develops automatically. Unsteadiness also means an inconsistency and irregularity in lifestyle. It also can be referred to wavering of willpower. When there are inconsistency and irregularity in lifestyle, a further imbalance in the body will ensue. A steady mind and a steady body will help in advancement in yogic sadhana. A Sadhaka must try to develop the habit of avoiding all activities which are useless, time-consuming and energy depleting, and channel all the desires and actions into spiritual ventures. His practice or sadhana can prosper fast if he gets a Guru ( A Master ) and practices under his guidance to master the science of Hatha Yoga. Apart from these obstacles mentioned above, the “Tantraraja Tantra” mentions that the six obstacles to yoga are kama the lust, krodha the anger, lobha the greed, moha the infatuation, abhimana the pride, and mada the arrogance. The six obstacles described in hatha yoga and in tantra are interwoven and interlinked.